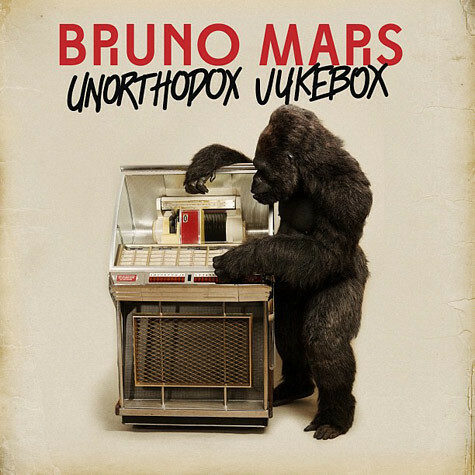 Bruno Mars opts out of gracing the cover of his sophomore album, Unorthodox Jukebox. The follow-up to 2010’s Doo-Wops & Hooligans is lead by the single “Locked Out of Heaven” and his new offering “Young Wild Girls.” The compact album is all Bruno as he stars alone on the 10-tracks, including “Gorilla” which fittingly goes with his playful artwork. The LP arrives in-stores on December 11. Check the tracklisting after the jump…..